I lost a beehive last year. It was a devastating experience. Everything seemed right; it was a strong hive, but alas the hive failed. I take responsibility. However, this is not about the past except that we must learn from it. The past is, in fact, useless unless we do just that. But what do I need to learn? And so this coming Saturday I will start the process over with the experience and education that I wracked up last year. This Saturday I am starting over with two hives. To say that I am nervous is actually not accurate; I am not nervous, but hesitant. I don’t want to fail because failure in beekeeping means that lots of life is wasted. I am starting with two hives because I am told that it is insurance, that two hives gives the keeper a way to compare; two hives will help educate me. I only hope that my education does not cost the bees their lives. I will do my best, but I know that the bees will do their best. They don’t have a choice, but I do. The choices we make define who we are, failures and successes. The choices we make define who we will be, and who we have become. I believe that the death of last year’s hive defined who I am today, and inevitably the hives that come on Saturday will define who I will become. 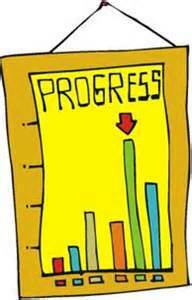 Last week progress was on my mind, and progress can be defined in many ways; some bad, some actually, well…progressive. To fail and to step back up to the plate says a lot about a person. I must remember that bees do not fail in the sense that I do. They simply act; it is us that determine pathways and judge failure against success. The simplicity of the beehive is amazing; the complications that we create are just as remarkable. In studying all winter long, with the readings and online research I need to remember that complication is not necessarily progress. Progress is simple: the recognition of the shortest, most realistic path to the goal. 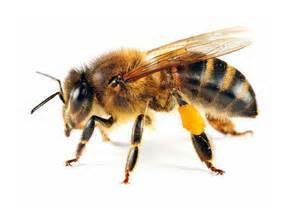 Bees do not need much, and they ask nothing of the individuals who decide to “keep” bees. It is in fact not necessary to “keep” bees at all. This year I will endeavor to stay out of my own way and more importantly, to stay out the bees’ way. This year I will progress by not necessarily acting upon the bees, but learning how to act with the bees. This sounds so simple, but simplicity, I have found, is not so simple. I can only hope that the “girls” are able to teach me to step back, give them room and not worry so much. It’s quite the advice from such a simple creature. If only more of us could listen. Progress is a peculiar word. And to make matters worse, it is a political word as well. Perhaps the problem is that we humans are a particular bunch, often specious and many times self-promoting. Progress is not often synonymous with tradition but perhaps that is only because we define it as profit. We have, no doubt, progressed but with profit as progress comes a price. The price for the particular progress that is being promoted by the current preliminary agricultural programs being put forth under numerous and often publicized public interest in agrarian lifestyles and sustainable food-growing is that often progress is not seen as progress at all. However, I am here to tell you that sustainability in any form is most definitely growth, advancement, improvement, development: it is progressive! While it is true that profitable progress will pay the price in the beginning, proper progressive movement relies upon the propensity of those involved to understand, to recognize, to perceive (if I may) the parallel between the proper way to grow, choose and eat food and the priorities that we choose to make. In short, progress is defined by why and what we prioritize. If we prioritize profit over progress than we get what we deserve which is exactly what we are getting now. To prioritize profit and production over sustainable progress and points of virtue is to presuppose that profit is a necessary participant in proven progress. The point is that progress is not always profit-driven. Progress can be profitable but only if it is sustainable. So, while sustainable lifestyles seem in vogue and are popular with a growing number of the populace, it is not a popularity contest. Furthermore, although the progressive movements with food production often rely upon pre-industrial ideas, the proposed changes are necessary if we are to remain progressive. The phenomenon is primarily a progressive one that is properly founded upon proven production means that are both profitable and practicable if not predictable. 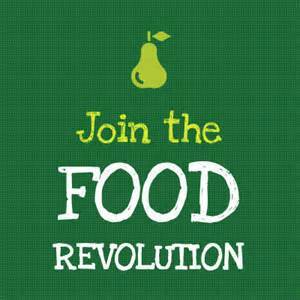 The “new” food revolution seems to be upon us, and I hope that it turns out to be a revolution that lasts. As revolutions go, this is a more positive one as it is seems to be a return to basic facts rather than pie-in-the-sky, wishful thinking on the wings of dreams. The new food revolution is, rather, pie-in-the-pan, hard-work on the backs of those who see the potential in acting upon truth. As most revolutions, this one has its (let’s say) issues. First, while the wagon has pulled out, there are still those jumping that don’t belong. Simple words like “organic” are now being touted by very non-organic growers and worse, being taken over by bureaucratic system that has spent so much time and effort working so hard against the faithful cultivators of quality; just ask Joel Salatin! Other corporate confusions now include honest and innocent terms like “free range”, “cage-free”, and of course we have the GMO-battle: a dishonest battle about honest labeling. As opting out becomes more and more tempting, we must remember that perhaps these dishonest, deceitful, and mendacious moves by agribusiness all over the world may just be desperate endeavors by the few and the powerful. We must plant on! Discard the lawns and the mowers, pick up the hoes and the rakes. Buy a chipper for god’s sake! Let ‘s ignore the ignorant and take on the towers of trade that would keep us under their thumb! Feed the worms, and feed yourself! The time is now!